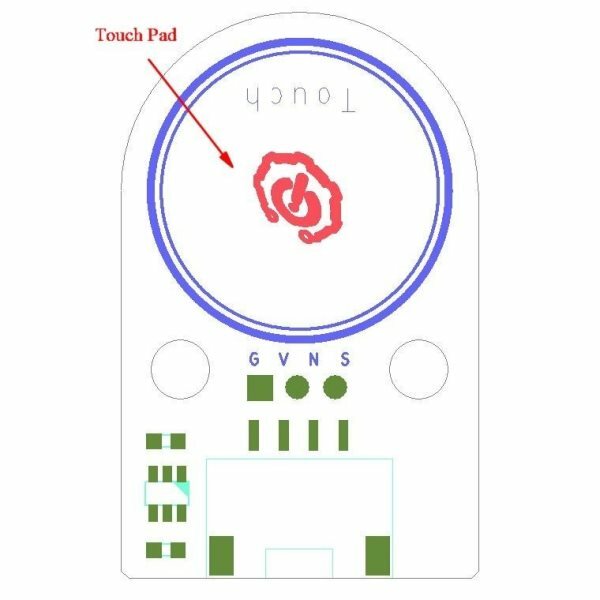 The Touch Sensor (Switch) Module is a touch sensitive digital button input. This finger sized sensor operates as a digital switch that turns on when touched. Attach it to a digital input on your microcontroller. This module support both 3.3V and 5V microcontrollers and has both 3 pin SVG Signal Voltage Ground and 4 pin buckled Grove connectors. Connect a 2-5.5V power source to the voltage input (V) and ground (G) pins. Connect the digital output signal (S) pin to a digital input on your microcontroller. The output signal will be low when touched and high when not.